Where Every Word Matters - We promise to deliver world-class services and efficient delivery times at reasonable rates. Native linguists in more than 200 languages since 1969. 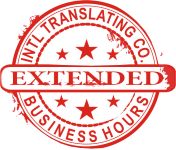 Since 1969, ITC has maintained a team of professional certified translators, editors, and proofreaders who are fluent in their native language and cultural backgrounds. Our phone interpretation services are available 24 hours a day, 7 days a week! And they are available at a moments notice. Voice-over and subtitling enables companies to localize their content and carry their message across both cultural and linguistic boundaries. We only use professional native linguist to ensure proper pronunciation and idiomatic nuances of any given language. International Translating Company – When every word matters, it’s all about trust! When every word matters, it’s all about trust! Founded in 1969, ITC is committed to delivering the best quality in the language services industry. With continual service to very dedicated clients, ITC established itself as an important partner to its clients. We serve clients in almost every industry. Our clients range from large fortune 500 companies to small business across the world. Our services include language services such as translation, localization, over-the-phone interpretation, onsite interpretation, voice-over, subtitling, transcription and other services. Clients old and new place confidence in our ability to understand and meet their needs. We leverage the ideal combination of human resources, processes and technology to deliver timely, accurate and affordable projects. Our business is all about trust. Our award winning and internationally recognized services will see you through. 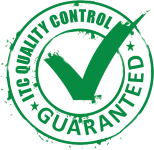 Quality and accuracy are top priorities at ITC. Native, certified and highly qualified linguists are central to our quality initiative. However, we don’t stop there! Our proprietary quality process and investment in continual improvement help us protect the trust our clients have in us. Being a fluent linguist is not enough. Nor is being a native linguist. 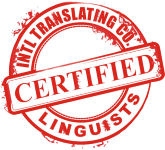 ITC’s linguists are vetted and certified for each function they perform. We insist that our linguists are not only native, but pass our own rigid standards and are continually measured and recertified. Our services and teams are available 24 hours a day, 7 days per week. With clients around the world, our teams are available at a moment’s notice to assist. Sometimes you get a project that needs to be done quickly. However, it also needs to be accurate. 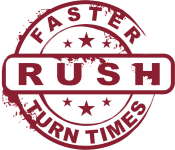 Our clients benefit from our experience, extended business hours and our processes that permit us to move quickly to meet your needs and deliver projects faster while maintaining accuracy.